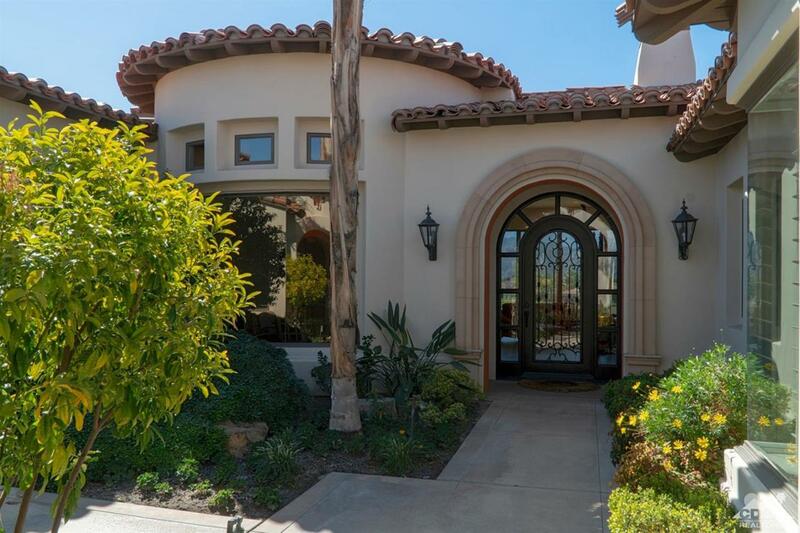 This stunning 921 Plan home in Toscana Country Club is a vibrant oasis retreat. Visitors are met with stunning Early California architecture mixed with pops of color. 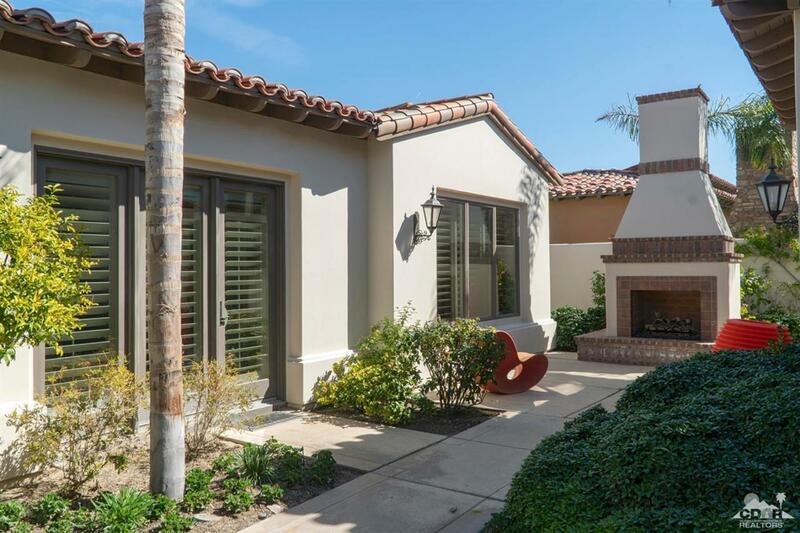 Step into the courtyard with massive fireplace, and through the classic yet colorful entry into the expansive greatroom; soaring sliding glass doors frame the majestic mountain views. The spacious, open floorplan is perfect for hosting, where guests can mingle between the two fireplace sitting areas, wetbar, dining, and entertainment center. The gourmet kitchen features Sub Zero and Wolf appliances, and beautiful granite countertops. The master suite is its own resort with fireplace, sitting area, office nook, and the bath features a spacious walk-in shower and separate soaking tub. Guests can relax in the expansive guest house or private guest rooms. Outside, bask in the gorgeous weather, grill in the built-in outdoor kitchen, or relax in the sparkling pool and spa.